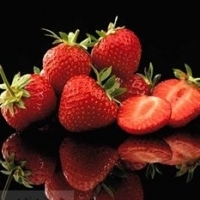 Browse strawberry suppliers by country and region. 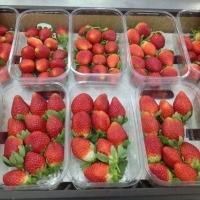 The Strawberry is a succulent and fragrant fruit of bright red color, obtained from the plant with the same name. In the West it is considered as the â? ?queen of the fruit". It is eaten raw and used to make jam, stewed fruit... It is also used with medicinal purposes, since it has excellent benefits for health. 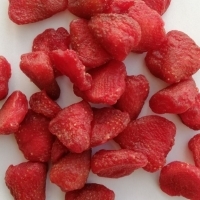 Strawberries (Fragaria vesca) grew spontaneously in the forests. Its culture started quite late, since it is a very fragile fruit; in order to obtain a maximum yield in a whole month harvest, the field needed a permanent dedication. The edible fruit is commonly known as "etaerioâ??. It is a false fruit consisting of a receptacle bearing the achenes (seed-like parts), small and of pale color in the part that was exposed to the shade and a dark reddish color in the part that has been exposed to the sun. The achenes can be inserted in the flesh, superficial or protuberant. There may be numerous or scarce. The protuberant achenes increase the resistance of the surface, but during washing many of them come off. The consumer normally prefers the fruit with few achenes, since they remain between the teeth when we bite them. The central part or "heartâ?? of the fruit may be well-developed or very little developed, we may also find â??heartlessâ?? fruits. This is a negative characteristic. The fruits have various shapes, according to the cultivar: conical, conical-elongate, conical-rounded, spheroidal, oblate and kidney shape. Strawberries are usually harvested at the beginning of summer. 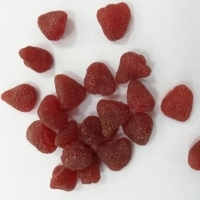 Wild strawberries are generally smaller than the cultivated ones, but they have a better aroma and taste, slightly bittersweet. 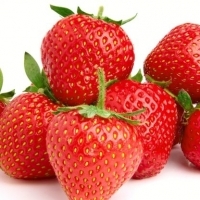 Strawberries are low in calories. 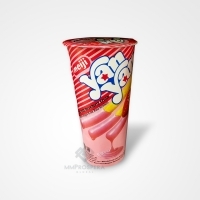 Their energetic value per 100 g of edible fresh fruit ranges from 27 to 34 kcal. Apart from water, their main component are carbohydrates. Fructose represents practically half of the glucids and the rest is mainly glucose. It has a low percentage of proteins. The Strawberry is an excellent source of vitamin C. Our Strawberries are sourced from growers in Egypt, Turkey, Spain, Poland and Japan. Short on time? 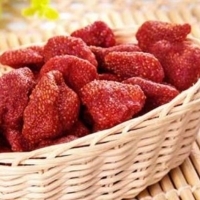 Let strawberry sellers contact you. 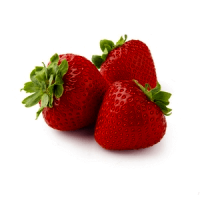 The health benefits of strawberry include improved eye care, proper brain function, relief from high blood pressure, arthritis, gout, and various cardiovascular diseases. 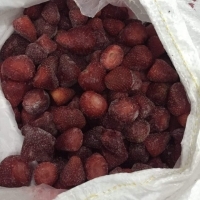 The polyphenolic and antioxidant content of strawberries makes them good for improving the immune system, preventing various types of cancers and for reducing the signs of premature aging.